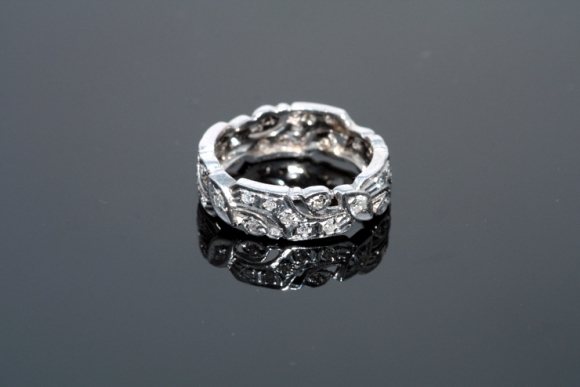 A beautiful pierced 14K white gold diamond band. 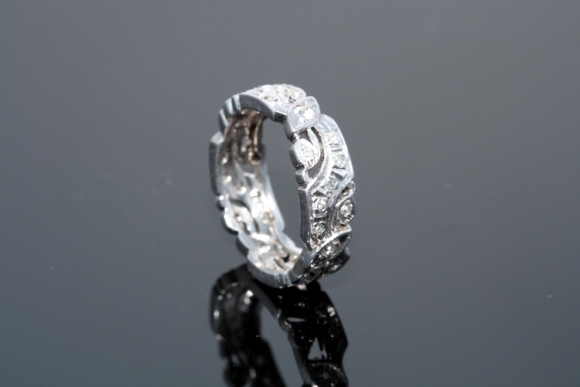 The band is set with round diamonds having a total weight of 1/2 carat. 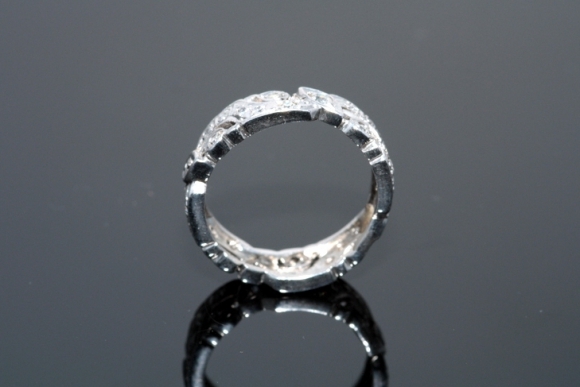 The ring is 6mm wide and is a size 6. Being an eternity band this ring is not sizable. The ring is unstamped but has been tested for karat fineness. Circa 1930.